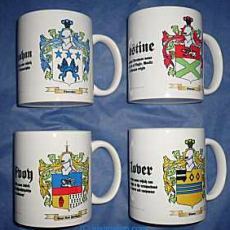 The ancient history of the name Burden was found in the allfamilycrests.com archives. Variants of the name Bearden include Burden, Beerden, Bourdon, Burdon and Burdone. This name is of locality origin from the place now called Burdon in the County of Durham, where a family of the name were established shortly after the Norman Conquest. This name is usually of Scottish descent and is found in many ancient manuscripts in that country. 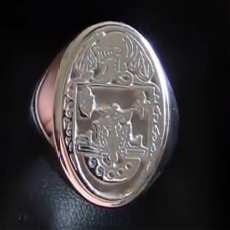 Examples of such are a William de Bourdon who witnessed a Charter of Alexander II to Hugh de Abernethy in the year 1245. A John Burdon, one of the suite of the Earl of Angus, is recorded as having safe conduct in England in the year 1357. In Ireland this name is found in County Down in Ulster as Burdon where it is a branch of the Scottish Clan Lamont. The name is also on record in Cork since the fourteenth century. 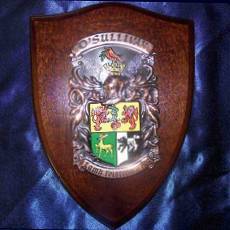 The Burden coat of arms came into existence centuries ago. The process of creating coats of arms (also often called family crests) began in the eleventh century although a form of Proto-Heraldry may have existed in some countries prior to this. 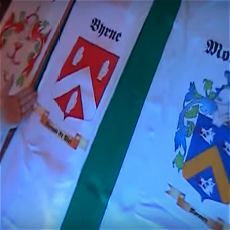 The new art of Heraldry made it possible for families and even individual family members to have their very own coat of arms, including all Burden descendants. 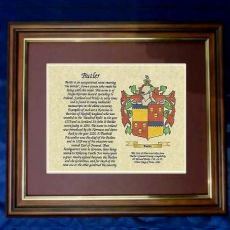 Get your Burden Family Crest Flag, on Ireland or White background! 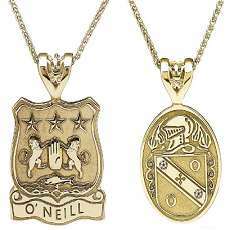 Engraved Burden Pendants in Gorgeous Gold or Stylish Silver.